With some recently acquired equipment, I finally had some time to do violin photography. Although I had attempted that before, I’ve never come to this close to what I really like. 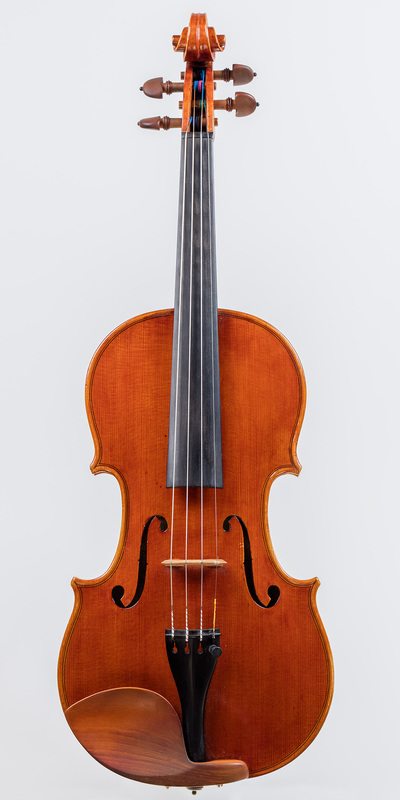 The curvature and reflective surface of violin make it among the most challenging objects to photograph. You need good lighting to show the texture of the tone wood and varnish, and at the same time you want to avoid any reflection of the light source. Another challenge is to find a proper way to support the violin. I made a stand but it’s not perfect because it only allows me to take the front shot. So I still have room for improvement! Anyway, I’m happy with the image below. I probably just need a few tweaks to the stand so that I can take pictures of the side and the back.